Over 750 acres of forest was gutted in fire in two separate incidents in Bandipur Tiger Reserve (BTR) on February 18 and 19. While the first fire broke out in Kalkare Range of the Tiger Reserve, killing a forest guard Murigeppa Tammangol and injuring at least four fire-fighters, the next one took place at the Gundre range. In February 2016, two separate forest fires destroyed at least 300 acres of wooded area in Bandipur and Nagarahole tiger reserves. The officials had ruled out the possibility of an accidental fire and alleged that human activity around the damaged area was responsible. The fire in 2014 led to the loss of bamboo clumps, trees and a critical tiger habitat. 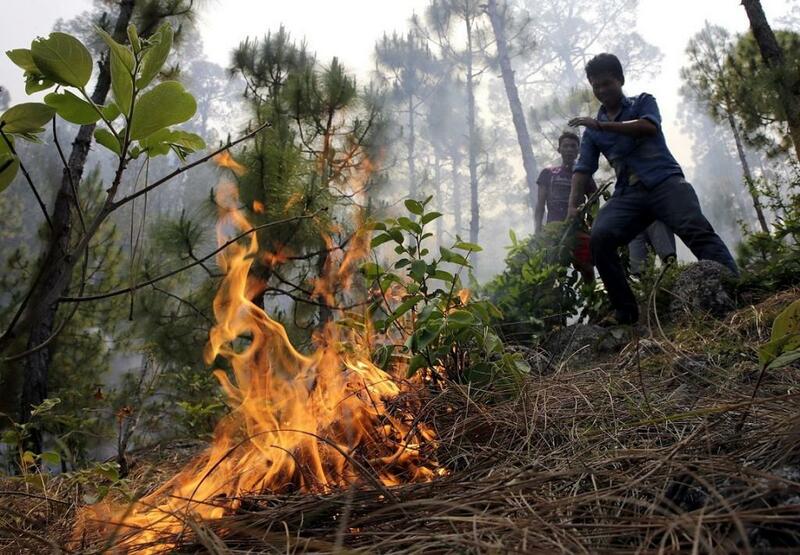 According to forest officials, residents of Kebbepura haadi (a small tribal village) are behind the forest fire. They are known for setting dried elephant dung on fire which starts burning slowly and gradually spreads to the forest. While it will take a day or two to assess the entire extent of the damage and find out the actual reason of fire, there are speculations that uncontrolled growth of lantana and rubbing of dry bamboo caused the fire. However, T Heeralal, the Conservator of Forests & Director of BTR, believes that the fire has been created by ‘miscreants’. Stating that an FIR has been registered, he said that it was for the first time that BTR has seen flames in the last one year. Some are of the opinion that there has been lobbying in and around the BTR for the rights over forest produce. This has led to a tussle among locals who could have set the forest ablaze in a fit of rage. Meanwhile, Bandipur National Park is going through one of the worst droughts in recent memory with 321 out of 373 water bodies having dried up. Of the 373 water bodies spread over an area of 874 sq km of the national park, 321 have gone completely dry. Efforts are on to sink in new bore wells, which will be energised by solar power and about 15 such solar-powered pumps are to be drilled across different ranges of the national park to meet drinking water requirements of animals. Though Bandipur forests turn bone-dry during summer, at least 50 per cent of the water bodies generally have sufficient water to last through summer. But the failure of south-west and north-east monsoon in 2015-16 and 2016-17 has left the water bodies dry.